We love Spring colors over at OneKriegerChick. There’s just something about Spring colors after the long Winter we’ve had that makes me excited to incorporate them into fun treats. 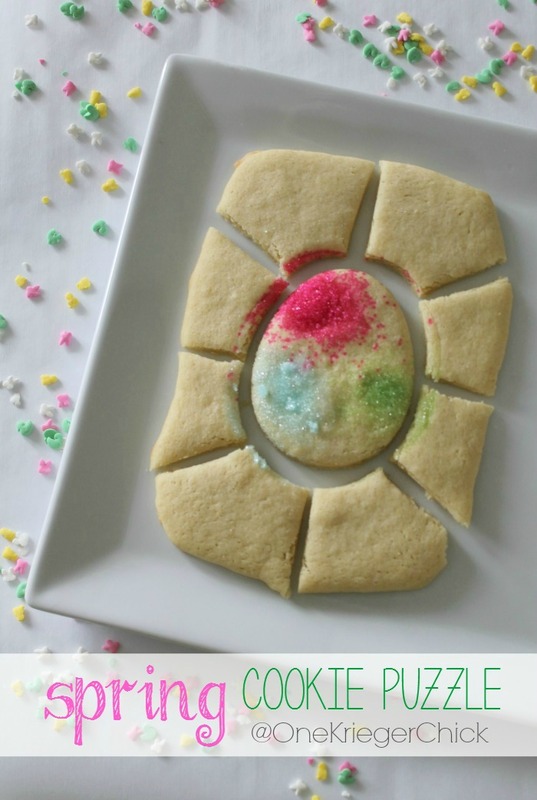 These Spring Cookie Puzzles are a favorite to make over at OneKriegerChick! So grab your favorite cookie dough recipe and join in! I love the idea of a cookie puzzle! What a fun idea to make a cookie puzzle….. I have never even thought of doing that… I bet your kids love it! !